When it comes to cars, typically you can follow your heart and get something fun or follow your head and get something practical. 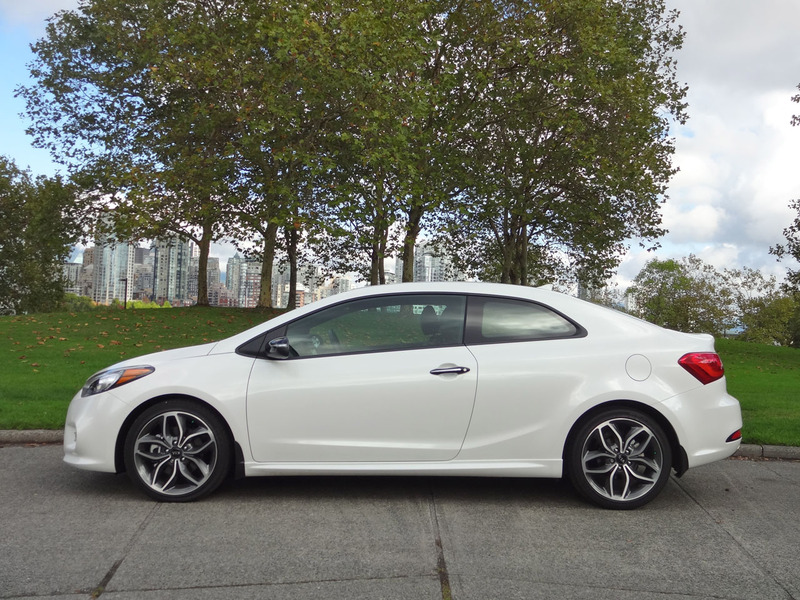 A few cars, however, do an impressive job of straddling the line between practical and fun. 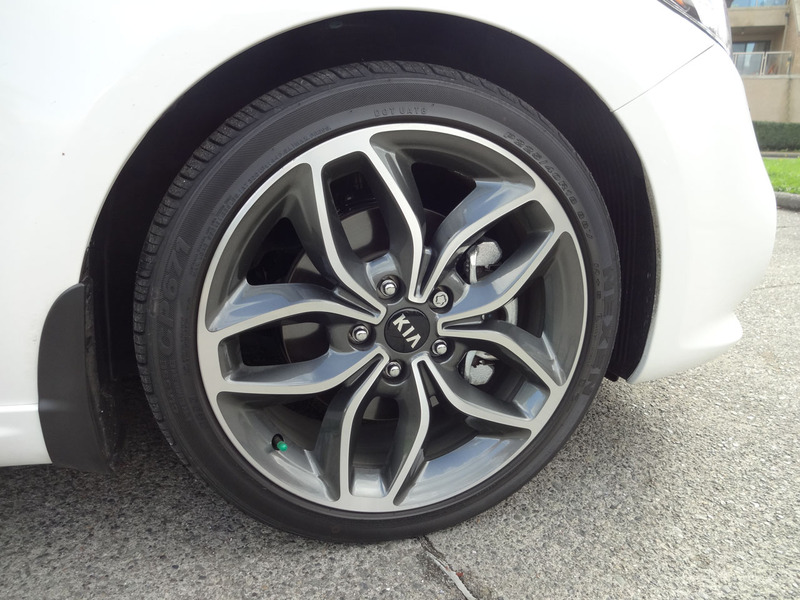 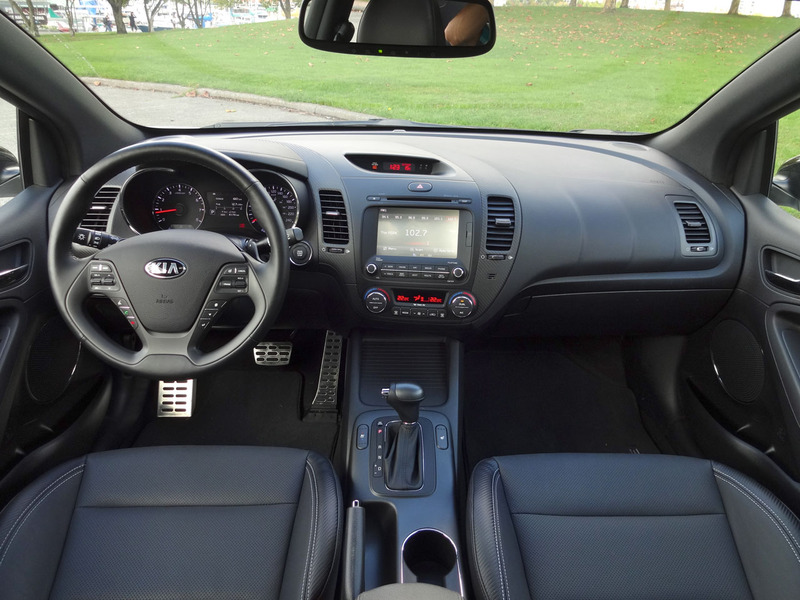 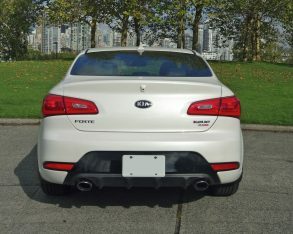 The Kia Forte Koup, which was freshly redesigned for the 2014 model year, is one of them. 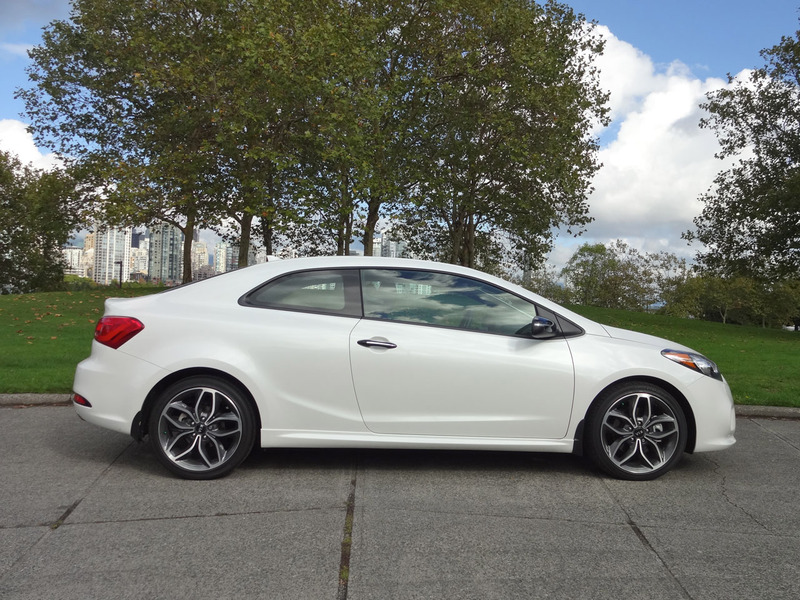 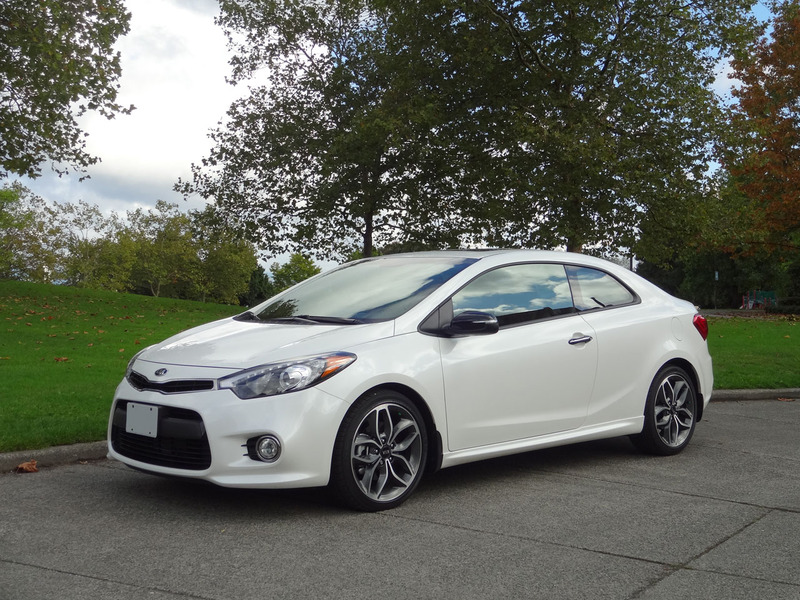 Like the Scion tC, which is perhaps the little Kia’s most direct rival, the Forte Koup offers genuinely engaging style and a sporty driving experience together with a surprisingly comfortable back seat, good trunk room, and commuter-friendly convenience features. 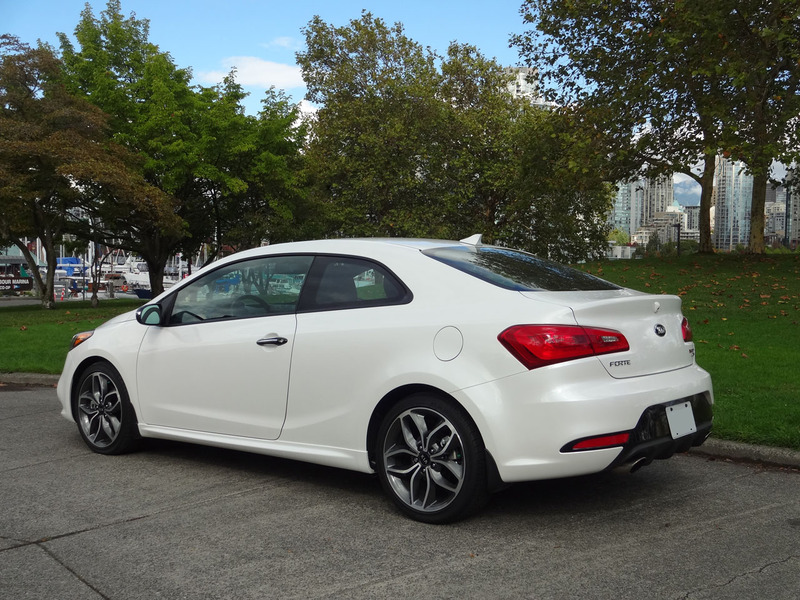 Sure, there are other compact coupes out there – including the Honda Civic Coupe, Hyundai Elantra Coupe and even, arguably, the Volkswagen Beetle – but none of them really look the part quite as well as the Kia Forte Koup does. 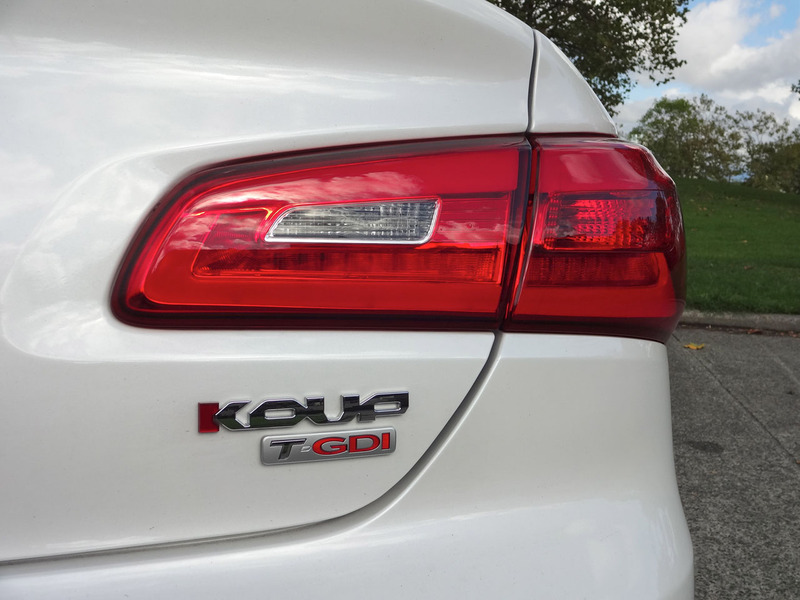 It’s a genuine stunner thanks to the styling efforts of former Audi designer Peter Schreyer, and my test car drew favourable comments wherever I went. 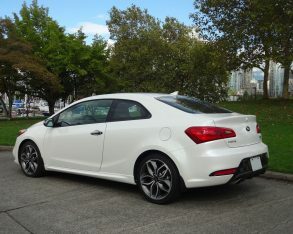 the Forte Koup’s swoopy sheetmetal is either a 2.0-litre direct-injection four-cylinder (in base EX trim) or a 1.6-litre turbocharged direct-injection four-cylinder (in SX and my test car’s SX Luxury trim). 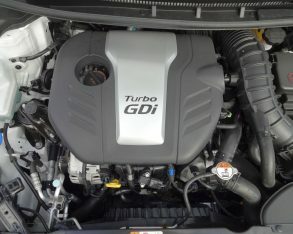 The naturally aspirated 2.0-litre engine develops 173 horsepower and 154 lb-ft of torque, while the turbo 1.6-litre engine cranks out 201 horsepower and 195 lb-ft of torque. 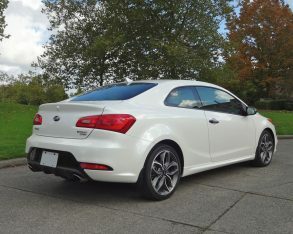 With only about 1,330-kg (2,930-lbs) of mass to propel, this is good enough to slingshot the turbocharged Koup to 100 km/h in about seven seconds flat. 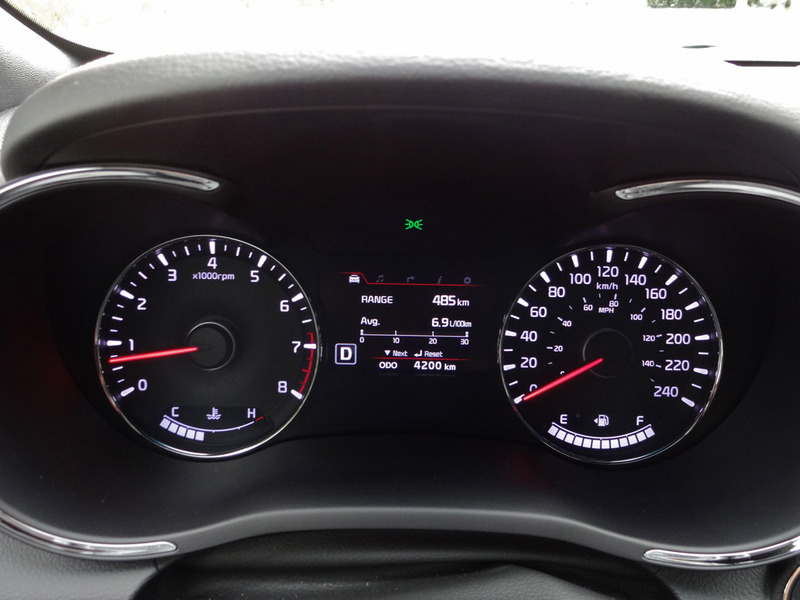 inputs with a hurried shift. 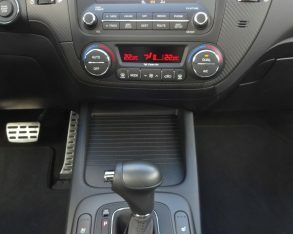 In manual mode it offers reasonably prompt, crisp shifts, making for good fun behind the wheel at the expense of a big hit to my average fuel economy. 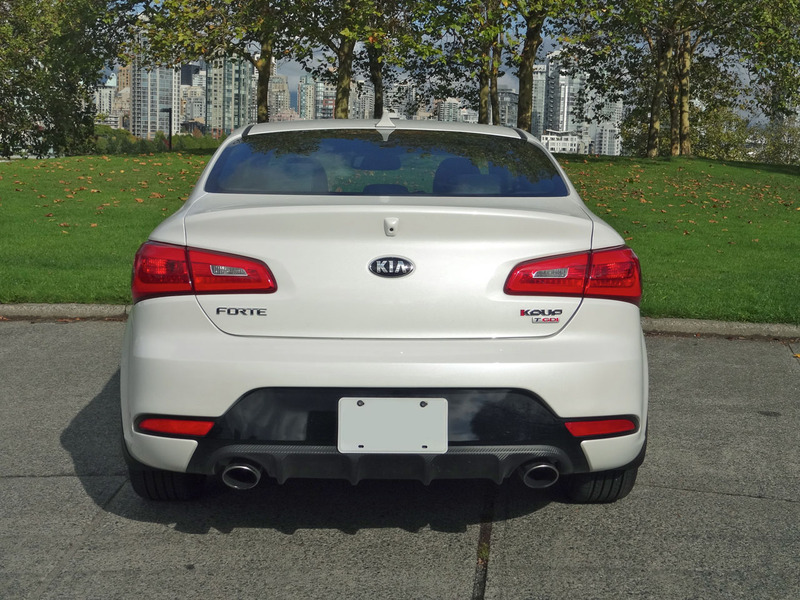 Overall, however, the turbocharged Forte Koup has a docile, easy-to-live-with nature when trundling around town, while maintaining the ability to accelerate with pleasing ferocity when you boot it. 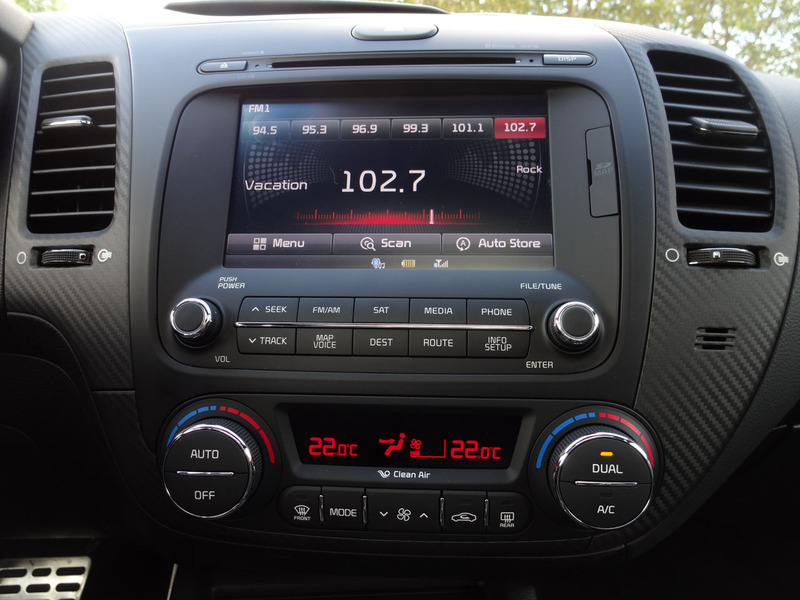 In terms of fuel economy, using the new 2015 five-cycle test method the Forte Koup SX is rated 9.3 / 6.6 L/100km (city/highway) with the automatic transmission, and I managed very close to this when in automatic mode, achieving real-world readings of 6.9 L/100km on the highway and 10.5 L/100km in the city. 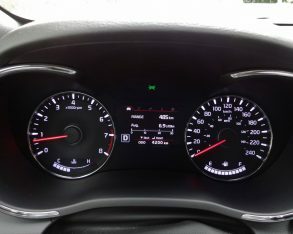 Frequent use of the manual shift mode around town put a bigger grin on my face but increased my fuel consumption to 12.5 L/100km. 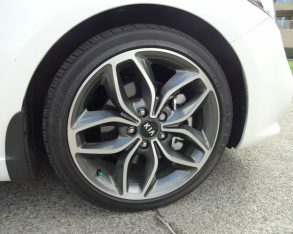 coupled torsion beam rear suspension, with disc brakes all around (vented in the front, solid in the back). 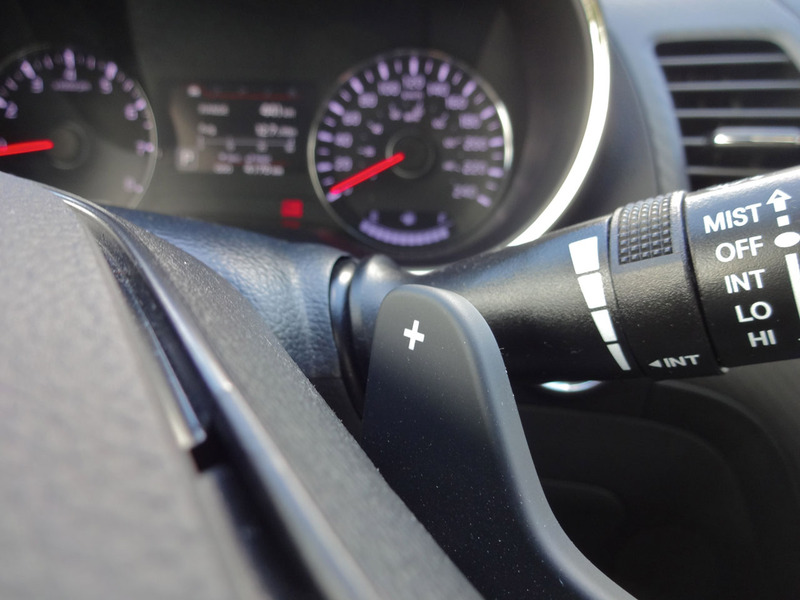 The power steering has three selectable modes each offering either more or less steering assist, but I found this to be pretty much a set-it-and-forget-it option. 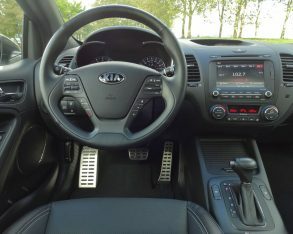 The chassis and suspension are well balanced, offering a comfortably buttoned-down ride and remarkably good handling when driven with a modicum of finesse. 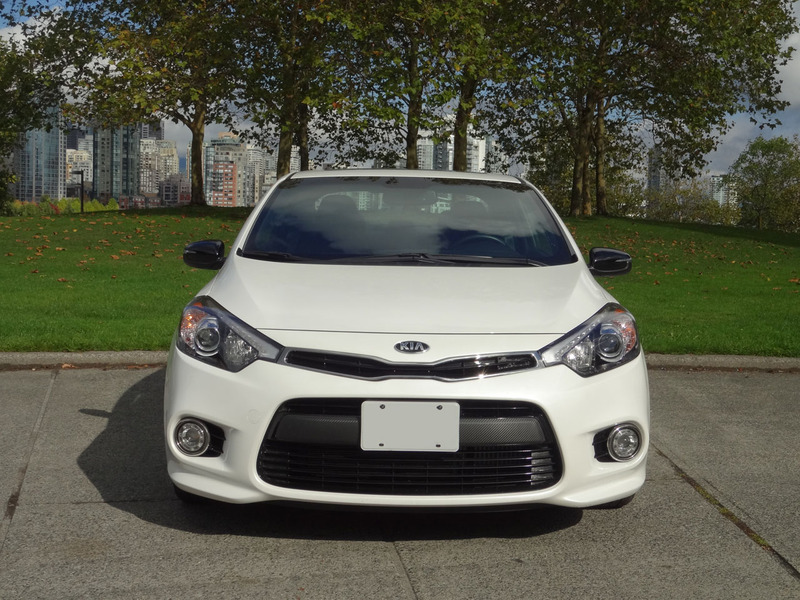 The ultimate cornering limits aren’t especially high, so it’s easy to get tire squeal and understeer if you fling the Forte Koup hard into tight bends, but it has a nice flat cornering attitude and decent steering feel – at least in the heaviest Sport steering mode. 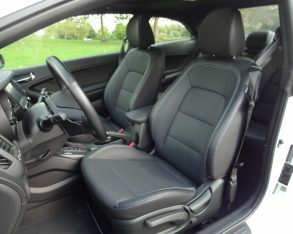 upped the luxury quotient with leather-upholstered seats (trimmed with slightly peculiar carbon-fibre effect bits), a navigation system, a sunroof and a few other features. 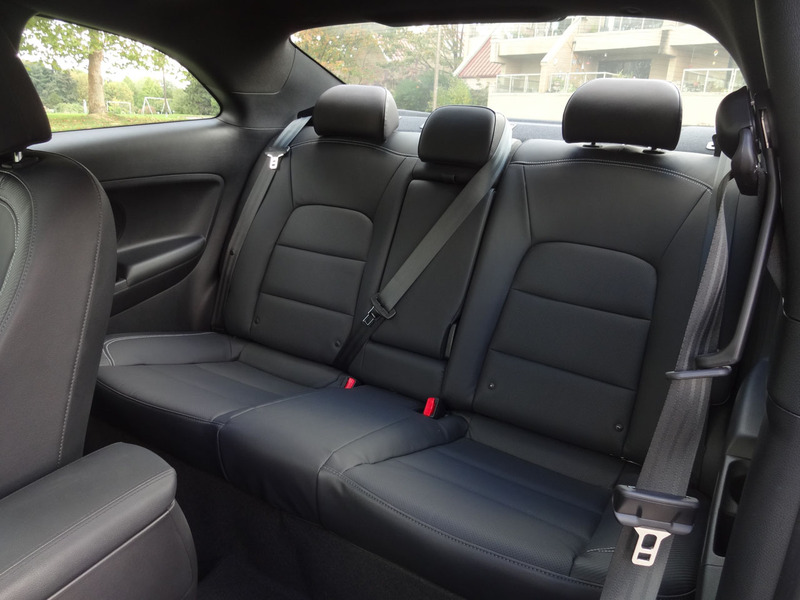 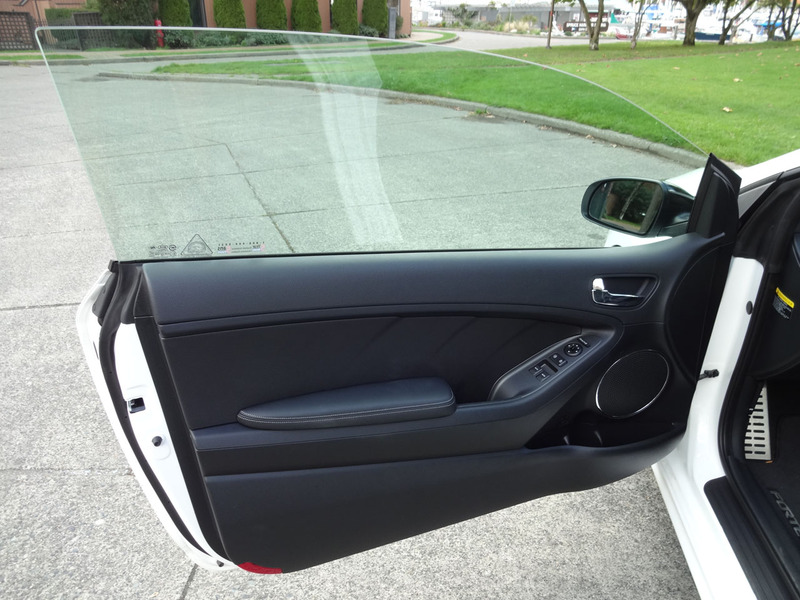 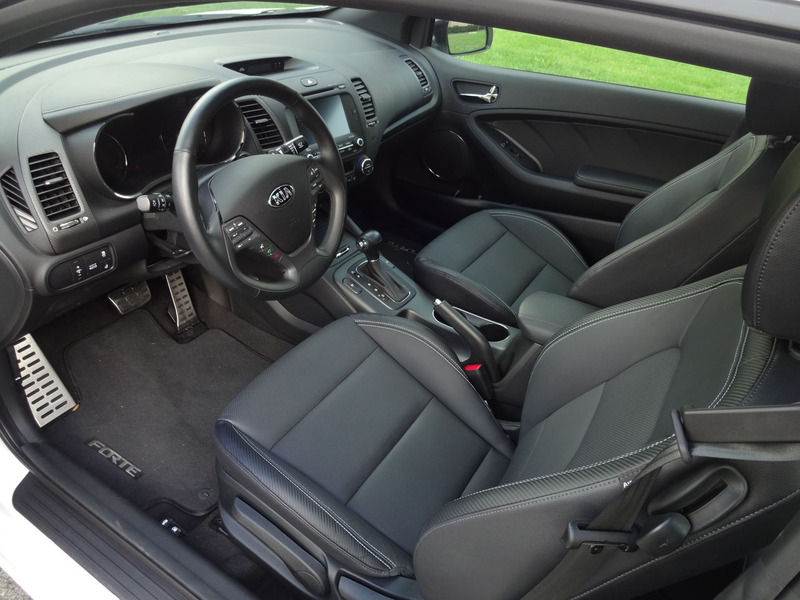 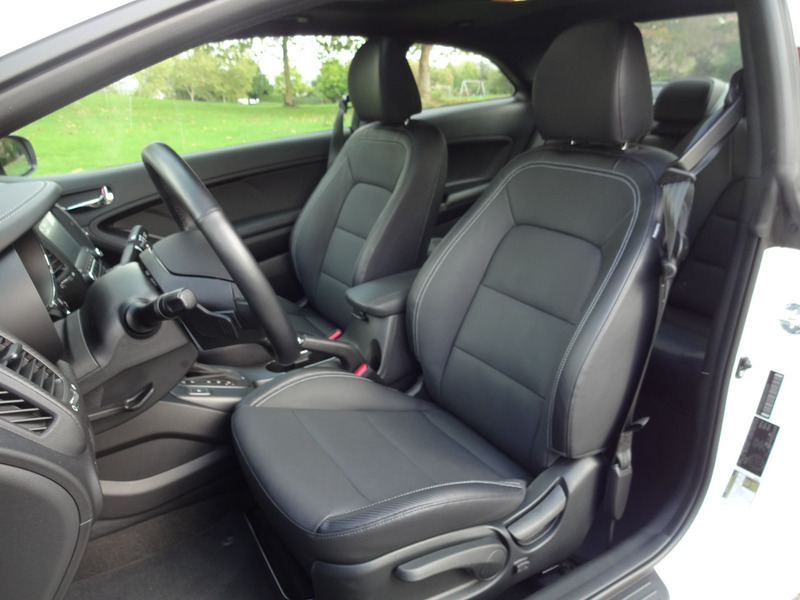 While comfortable and supportive seating is expected in the front of a sports coupe (and the Forte Koup didn’t disappoint in this regard), the rear seat is often a cramped, uncomfortable afterthought. 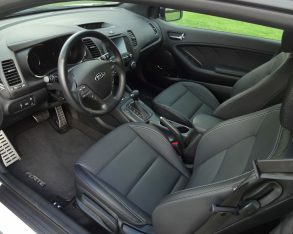 The Forte Koup, however, has very good room in the back (certainly for a coupe, at any rate) so offering your friends a ride across town needn’t be an act of torture. 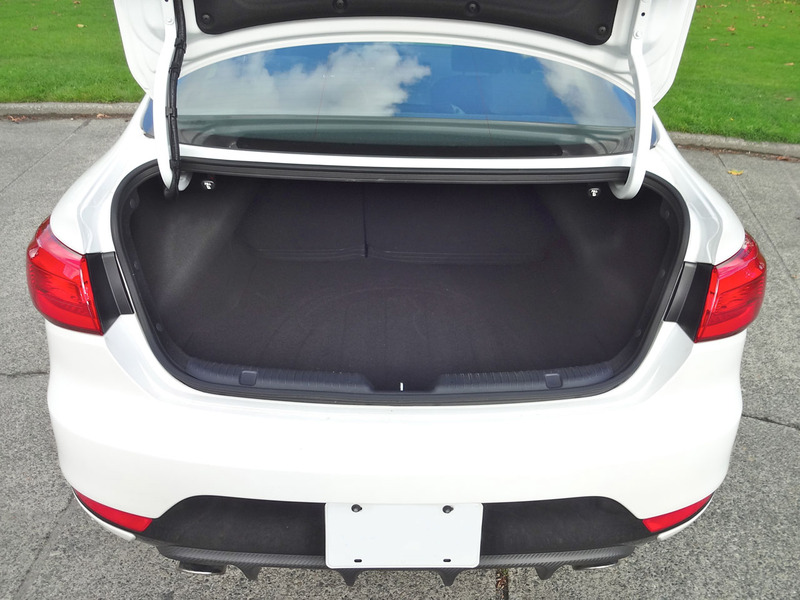 The trunk is also decently sized at 378 litres, and there are standard 60/40 split-folding rear seatbacks for when you have more (or longer) luggage than will fit. 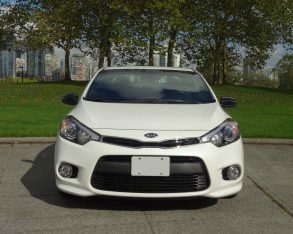 would be the challenging new small overlap front crash test, where the Forte Koup managed a marginal pass). 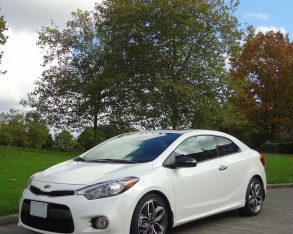 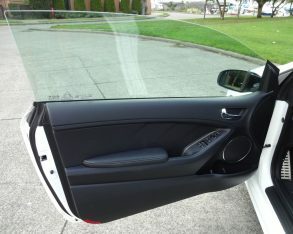 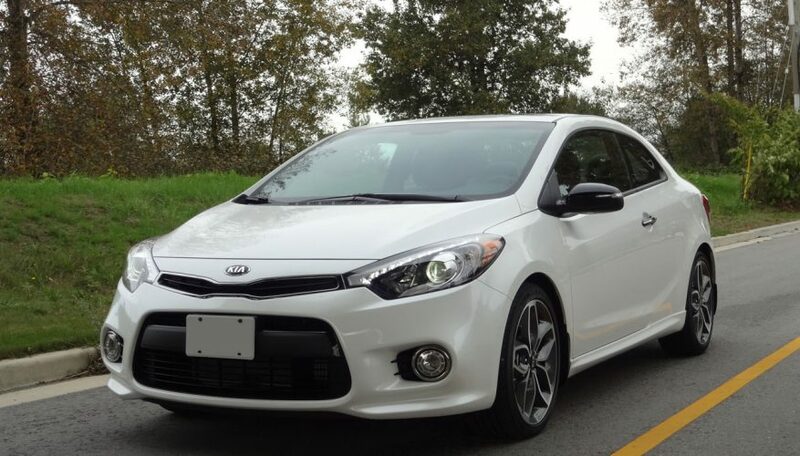 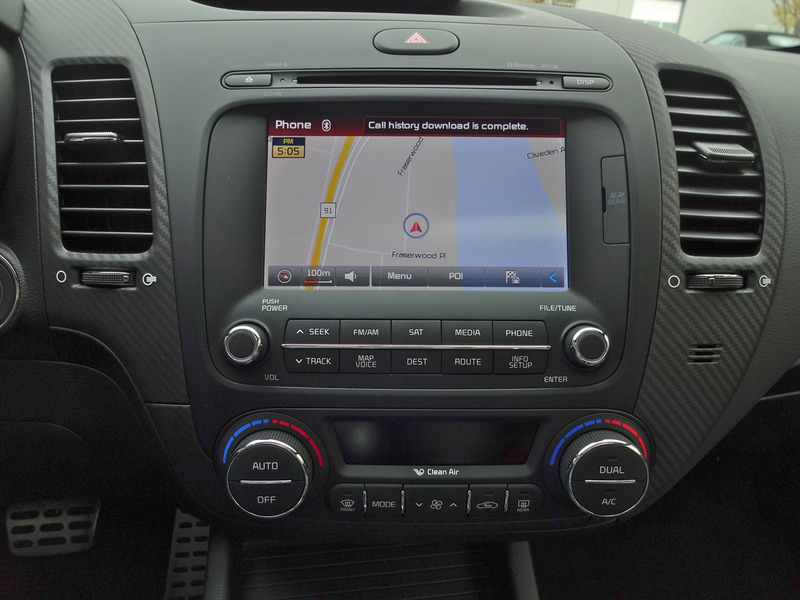 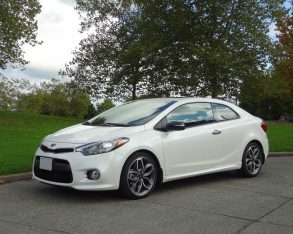 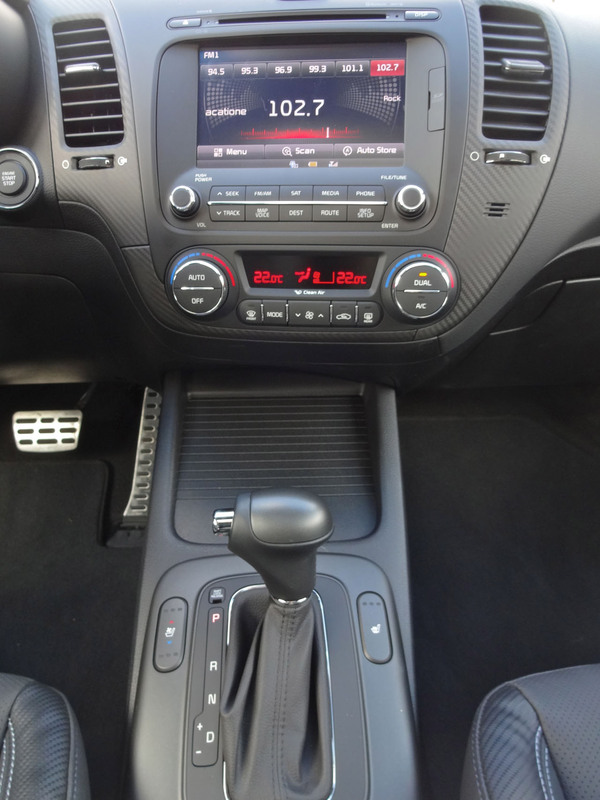 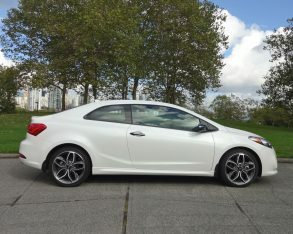 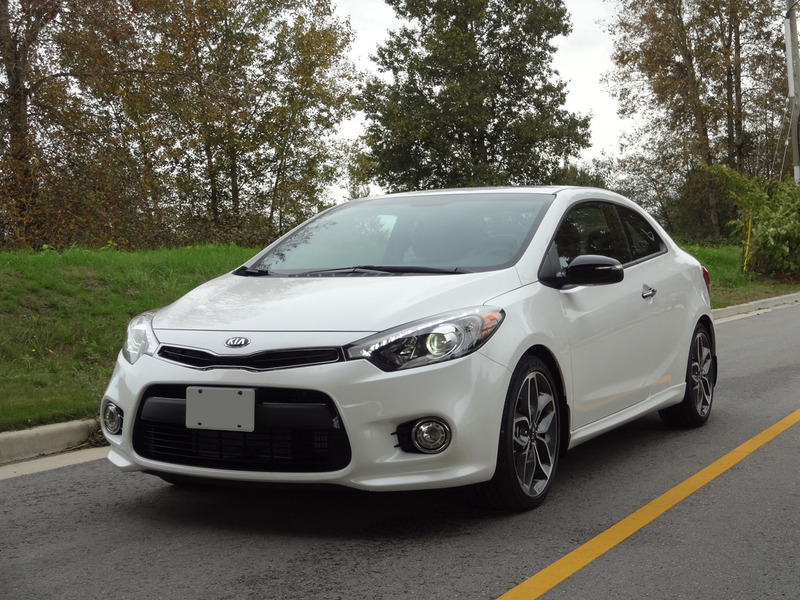 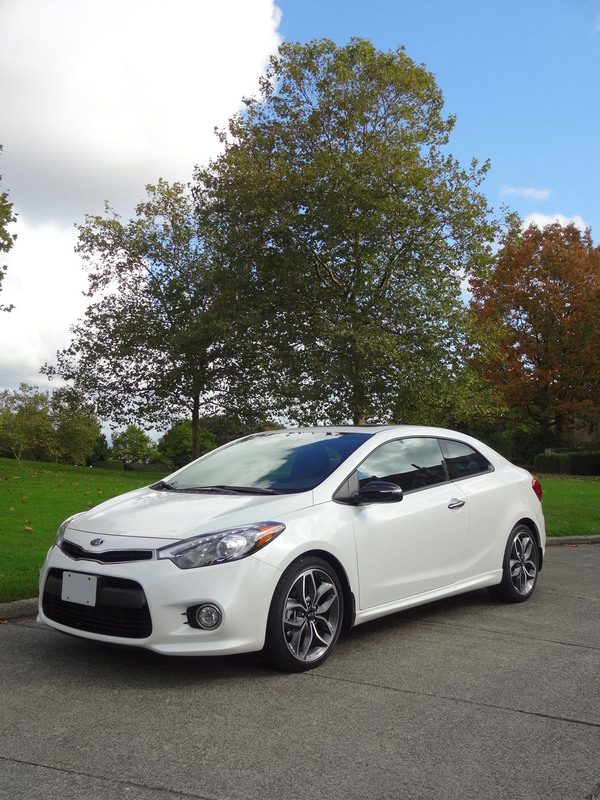 I tested the Forte Koup in the early fall, just as the model year changes were starting to take place, so the car I drove was a 2014. 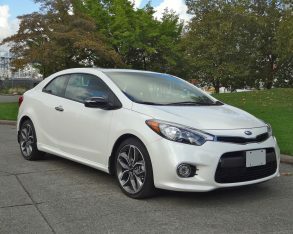 Having just been fully redesigned for its second generation, however, the Forte Koup is carrying over into 2015 with no changes, so all the equipment and trim details will remain the same for the next model year. 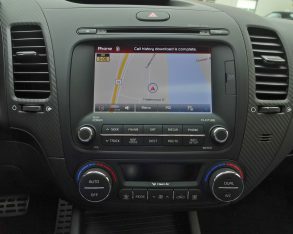 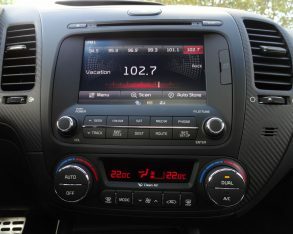 mirror, heated power side mirrors, heated windshield wipers, a rearview camera, and a six-speaker AM/FM/XM/CD/MP3 infotainment system with auxiliary input, USB port and Bluetooth connectivity. 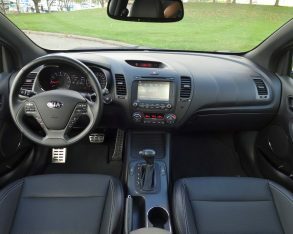 The automatic transmission adds an extra $1,200, and a powered glass sunroof is available for $1,000. 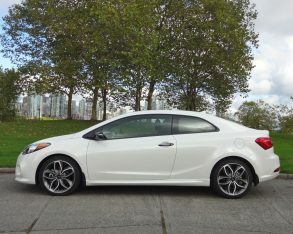 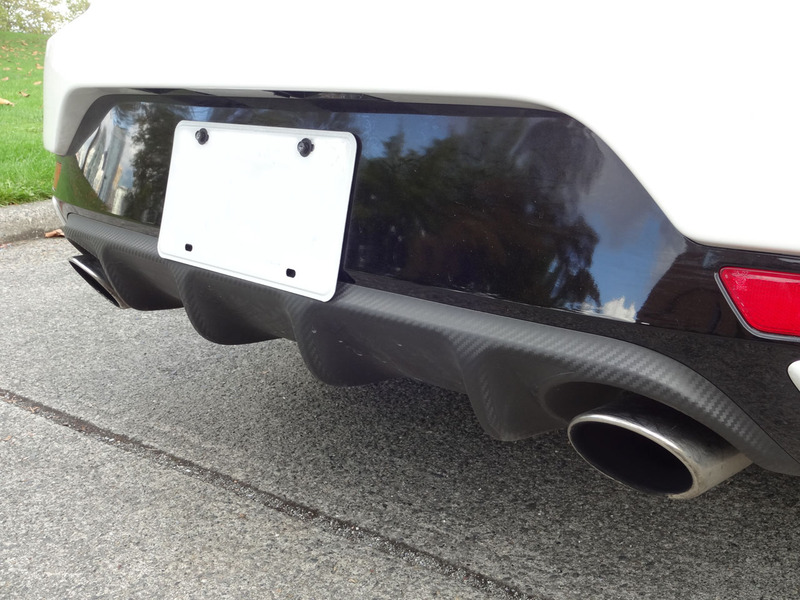 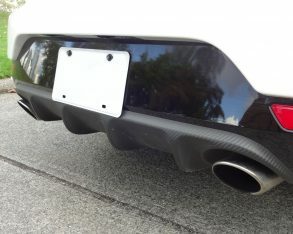 The SX trim starts at $25,680 (destination in) and in addition to the more powerful engine it adds things like a carbon-fibre patterned rear diffuser, bigger 18-inch alloys, a sport-tuned suspension, larger front brakes, LED fog lights, LED taillights, dual-zone automatic climate control with a clean air ionizer, alloy pedals, pushbutton start, a welcome lighting system, and a cooling glove box. 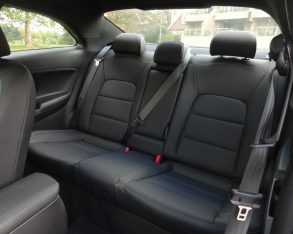 My test car’s SX Luxury trim ($30,280 with destination) added the automatic transmission, plus a sunroof, leather upholstery, Xenon HID headlights, ventilated driver’s seat, navigation, a heated steering wheel, and an enhanced instrument multi-information cluster. 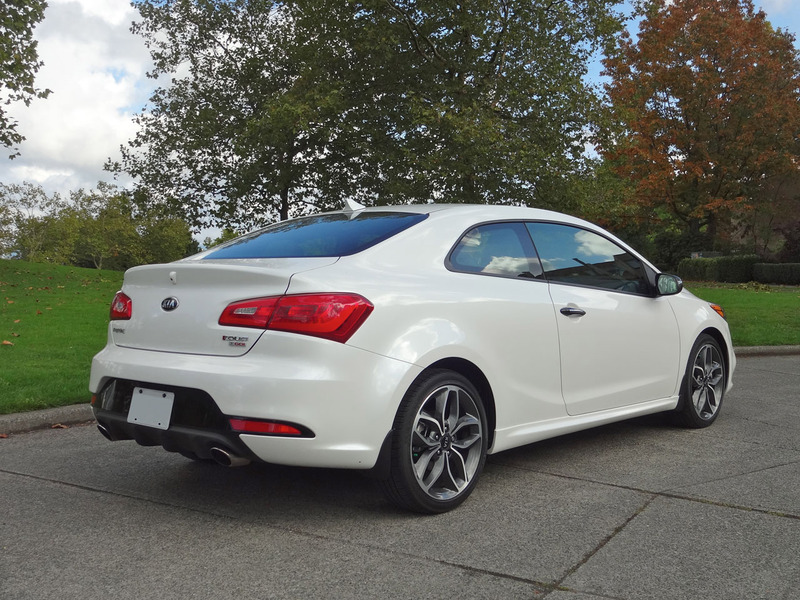 For those who desire a sporty looking and fun to drive car but don’t want to give up the practicality of a good compact sedan, the Kia Forte Koup offers one of the few real alternatives out there. 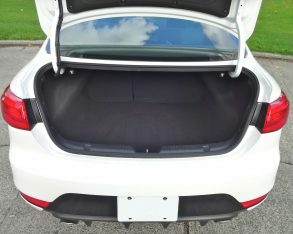 Sure, without rear doors it’s not quite as practical as a sedan, but it’s not far off. 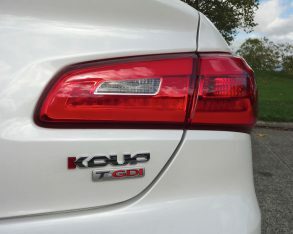 It’s certainly miles ahead in the style department, and genuinely good fun to drive.